A medical cannabis delivery service and industry analysts has revealed some interesting data about the people who are buying weed. In their 2016 State of Cannabis Data Report, medical cannabis delivery service and industry analysts Eaze Insights revealed some interesting data about the people who are buying weed. According to their findings, the number of women who are smoking weed has seen a notable increase over 2015. Eaze predicted that cannabis smoking rates would indeed rise among women, but the 2016 findings have surpassed their expectations. In 2016, 25% of people using Eaze were female or 1 in 4. (But as 2016 came to an end) women accounted for 33% of users, raising the total to 1 in 3. That’s a 32% annual increase. Statistically, men have always smoked more cannabis than women. A study published by Columbia University concluded that men are more likely to consume pot than women, particularly during times of stress. Our findings are consistent with other studies documenting increased substance use during times of economic insecurity, especially among men. Given the heightened accessibility of medical and recreational cannabis, both sexes will most likely be upping their pot use. But Eaze points to another piece of data that might be influencing the rise in pot use among women. 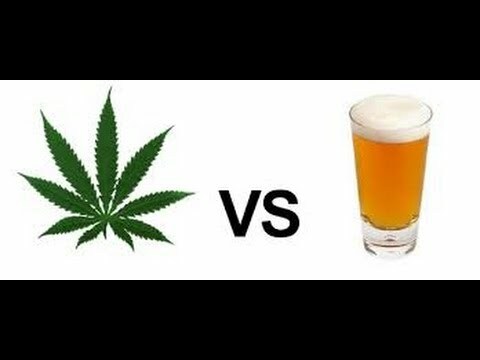 Over 82% of people surveyed said that using marijuana has caused them to reduce their alcohol intake. A whopping 11% of respondents said that they’ve quit drinking entirely because of marijuana. This is significant as many studies show that women may now be out-drinking men for the first time in recorded history. Social media pages like Mommy Needs Vodka and Mommy Drinks Wine and Swears are all abuzz with thousands of followers and stressed mommy memes to boot. But the harmful effects of alcohol dependency are no joke. According to the CDC, women who drink more than one alcoholic beverage a day are more prone to chronic medical conditions, inflammation, high blood pressure, and weight-related diseases; none of which are brought on by cannabis use. Weed has also been reported to help people wean off of alcohol, anti-depressants, anxiety medications, sleeping pills and more. While it’s recommended that drug rehabilitation programs should be sought out when breaking a dependency problem, the above facts could make moderate cannabis and/or CBD use more attractive to women in the coming years. Cannabis use is also becoming far less taboo for women from a cultural standpoint. Women are entering the industry at soaring numbers. More and more celebrities are creating cannabis-based products made specifically for feminine issues and the growing movement toward natural medicines presents an opportunity for women of all ages to seek out cannabis more than ever before.